Invite The Zee Zees To Land In Your Stores! 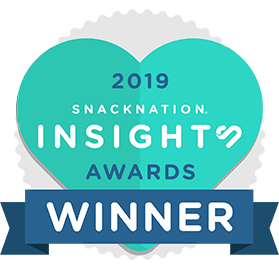 Data and Consumer Insights Names Zee Zees Campfire S’mores Soft Baked Bar the Best Bar Click Here To See Product Now! We’re about two things here at Zee Zees – three if you count having fun – but mainly making good foods and making them in good ways. Wholesome ingredients, interesting ways of putting them together, a Full serving of fruit or veggies when we can and a helping of common sense, tied together in one big bursting-with-flavor bow. That’s what we’re about. Over 300 million servings of Zee Zees are already being consumed annually in schools, and families are actively seeking local retail locations for purchase. 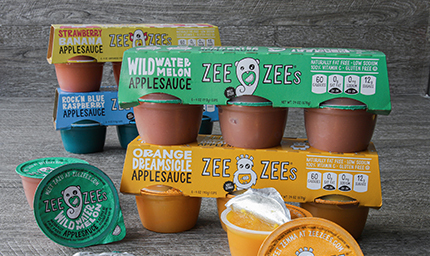 ​Every Zee Zees character has a name, story and favorite flavor - meet the Zee Zees here! WITH ZEE ZEES, IT’S Z’ALL GOOD. 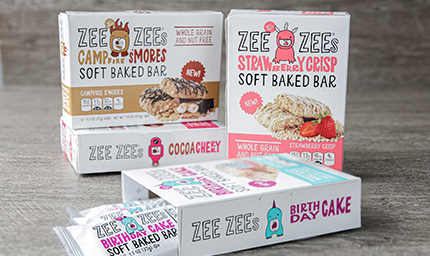 Zee Zees Soft Baked Bars are the perfect anywhere food - breakfast, lunch, after school, late at night, after practice, at work, watching TV, and more! Whole grain and nut free, as well - all in one great little package! Try our unsweetened, naturally delicious flavors, or fun it up even more with our special reduced sugar options. And, shake things up with our unique Pearsauce - no apples added - it's pear-fully perfect! Juicy and deliciously packed in 100% juice, no sugar added. 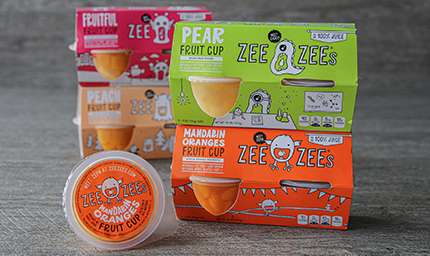 The Zee Zees take fruit cups up a notch with 4 tasty flavor choices. And, they are shelf stable so they can go anywhere you do! National Food Group supplies a variety of nutritious items to K-12 schools and Retailers across the nation. We fuel the next generation with wholesome food that tastes great! With over 27 years of experience in the food industry, we look forward to cooking up a recipe for success with you.